Welcome home to danish fashion designer Yvonne Koné. 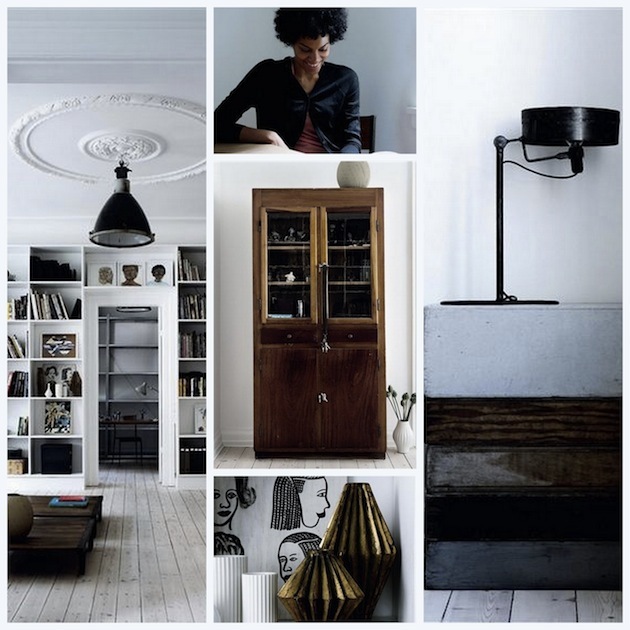 Her turn of the century apartment in Copenhagen is a creative mix of old and new - and recycled material. More photos where I found these.